PolkCountyToday.com is delighted to welcome columnist Jason Ellis to the website. 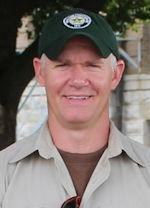 Jason is a District Forester for the Texas A&M Forest Service. Jason will answer commonly asked questions related to forestry, land management, tree health and more. What is a shelterwood harvest? Whenever landowners harvest timber, they have different options when it comes to regenerating a stand. Landowners can choose between natural and artificial regeneration. Both have their own pros and cons, and landowners should make their choice based on their property goals. Artificial regeneration means that a stand is prepared for planting via mechanical and/or chemical means followed by hand or machine planting. This is typically done after a timber harvest or clearcut. With this method, landowners can decide how many pine seedlings to plant on a tract, which are typically set out in neat rows. The other option is natural regeneration, or shelterwood harvest. When landowners choose to do a shelterwood harvest, mature pine trees with good form and healthy crowns are left evenly spaced throughout the tract. These trees drop pine cones loaded with seed, and new seedlings sprout naturally. This method offers a more aesthetically-pleasing appearance and a more suitable wildlife habitat, which can be beneficial to those who enjoy hunting and other forms of outdoor recreation on their property. However, since the shelterwood harvest takes longer to regenerate a stand, landowners who are managing their forest timberland solely for timber income will likely want to choose artificial regeneration, hand planting or machine planting, since this is the most profitable method. If you’d like to learn more about regenerating pine on your property or if you have any other forestry-related questions, please visit https://tfsweb.tamu.edu/ContactUs and contact your local Texas A&M Forest Service District Office.